The learning disability charity Mencap has said that allegations of financial abuse at one of its care homes was a "historic, isolated incident of poor record-keeping". The Times newspaper reported today that the charity had repaid more than £60,000 to five severely disabled residents at its Dolphin Court care home in Havant, Hampshire, amid claims that they were charged inappropriately for items ranging from takeaways to alcohol and DVDs. The paper reported that one resident, who could not talk, was charged £126 for the purchase of a karaoke machine, while another paid for five DVDs despite not being able to understand television. 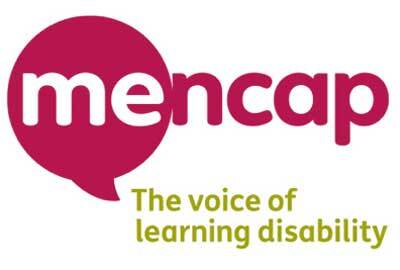 A Mencap spokesman said the allegations dated back to 2011 and were fully investigated and acted on at the time. "While it was isolated to one service, we fully recognise its seriousness, in terms of Mencap’s overall work but more importantly in terms of the trust that families and people we support place in us," he said. "As soon as the poor record-keeping came to light, we acted. We were completely transparent and cooperated with the Hampshire Safeguarding Team and Hampshire Police. No one was prosecuted." The Times reported that a file on the transactions has been passed to Hampshire Police for review. The Mencap spokesman said: "We have worked very hard over the last two and a half years to rebuild relationships with the families of the people in Dolphin Court – the standard of care is high and families are happy. The Times article fails to recognise the reality of working in social care. Every day, our charities provide tens of thousands of disabled people with support so they have choice and control over their own lives." He said Mencap had held 32 disciplinary cases related to alleged financial impropriety across its workforce of more than 7,500 people over the past three years. He said that of those, no further action was taken in six cases. Fourteen people had been suspended, of whom 12 were dismissed, he said. "We have robust processes in place to ensure that regular checks of finances and record-keeping are undertaken," he said. "The purpose of audits is to ensure and demonstrate that there is not an organisational risk regarding financial impropriety or mischarging. However, where weaknesses are identified in specific services, they tend to be minor administrative errors, and we take immediate action."